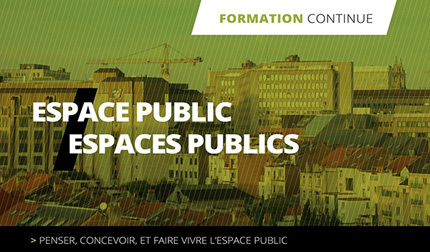 After the success of the first editions that allowed debating with exciting interventions (Richard Sennett, Olivier Mongin, Christian Devillers, Joan Busquets, Ariella Masboungi, Jean-Pierre Charbonneau, Eric Alonzo, Marie-Christine Jaillet, …) we continue giving the floor to the most qualified experts to address the issue of public space / public spaces associating all eyes. This entry was posted on Monday, May 7th, 2018 at 10:01 and is filed under conference, landscape, news, paisea, public space, without category, workshop and courses. You can follow any responses to this entry through the RSS 2.0 feed. Both comments and pings are currently closed.